This kit is a must-have for the field. 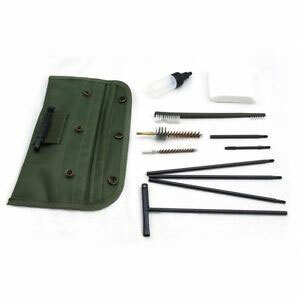 It’s a handy way to have all of the necessary items for cleaning your rifle. This 8.6 oz Cleaning Kit replaces conventional hefty cleaning gear. It’s great for field operations or at-home cleaning. Neatly stored in a 2-compartment lightweight nylon storage bag with hook-and-loop closure, can also be easily stored in the A-2 buttstock.